I’m going to loosely estimate it was my senior year in O’Neill High when last I stumble-bummed up Bear Mountain. As president of the non-school-sanctioned Garrison Youth Association, I was cutting class and riding a beer buzz daydream on this glacier-pocked peak. Since then I have ventured with surer steps through Mohonk, Minnewaska, Awosting, Mt. 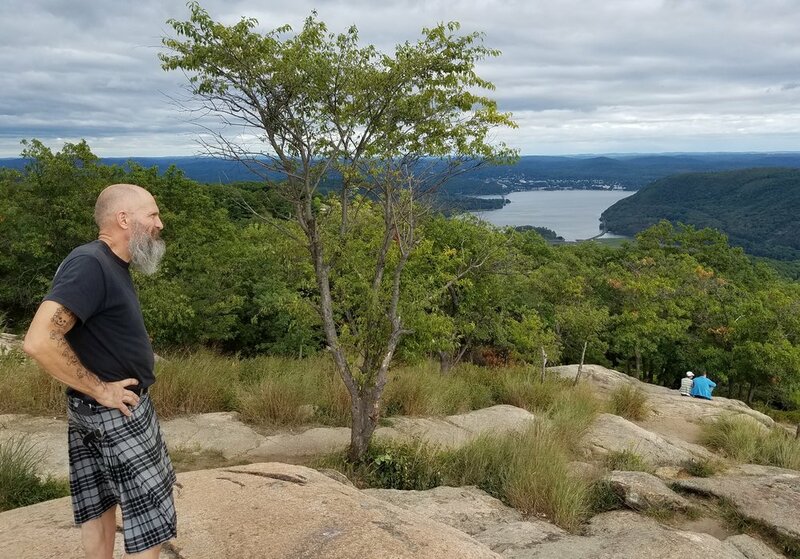 Beacon, Croton Reservoir, Break Neck, Overlook Mountain, and my spiritual landing and power spot, Fahnstock State Park, where the hawks always hail my ascent to Sky Top. So imagine how improbably cool it was to meet Iron Bob Brunner, one of the founders of the merry band of land pirates known far ‘n wide from New Hampshire to Texas as the Jolly Rovers. Emily and I were at Leslie’s pool party. Iron Bob is her cousin, kilt and all. Looking back on the tangibility of the work he says, “All these stepping stones we cut ourselves from existing rock on the mountain. There’s about seven hundred of ‘em,” he says, very matter-of-factly. Considering each of these slabs is easily five feet long, two feet wide, eight to nine inches deep, and weigh eight hundred to a thousand pounds, his matter-of-fact summary seems wildly understated to a guy like me who is awed just by hiking up a trail of them. 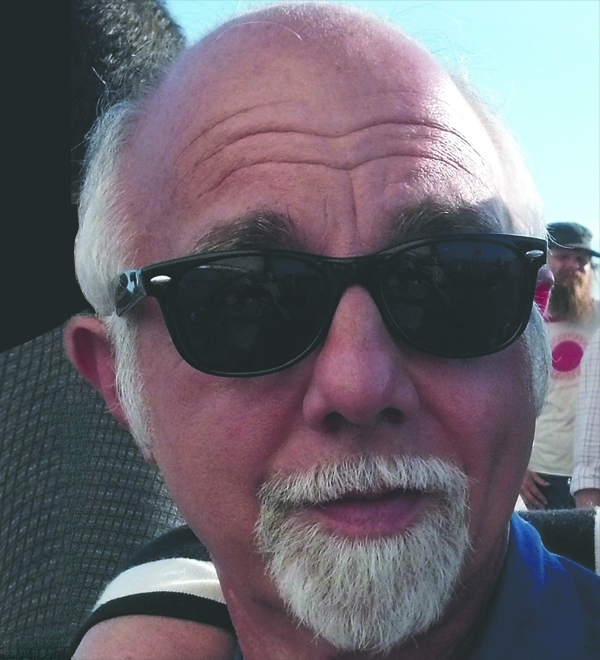 Executive Director Chris Ingui, alongside Iron Bob and Artie Hidalgo, co-founded the Jolly Rovers in 2011, was at his own personal and professional crossroads when he answered that same fateful ‘net blurb in 2008. “It changed me.” he readily admits, and then adds a jovial nudge at his friend’s memory. “Bob’s recollection of the number of stairs is way off. The actual count is closer to eleven hundred.” Understated, indeed. The inductions of both men into the art of trail building weave together as all truths tend to do. “It starts on Bear Mountain,” Chris begins. “They [the NY/NJ Trail Conference, the Appalachian Trail Conservancy, the National Parks Service, and others] were a couple years into a decade- long relocation of the Appalachian Trail. So I answered the blurb. Next, I’m learning masonry and rigging by working alongside Tahawus Trails trained teams,” he continues, his face lighting up as did Iron Bob’s when retelling the origin tale. For us lowlanders, Tahawus Trails LLC trains non-profit and volunteer groups in the art and science of imagining, creat-ing, restoring, and maintaining any type of trail for man or beast.It was that train-ing that set the Rovers on their merry way. The Tahawus trail teams were recently in-part responsible for the restoration of The Great Gorge Railway Stair Case at Niagara Falls and The Fallingwater Path-way at the Frank Lloyd Wright Kauffman Home in Mill Run, Pa.
“Y’know, I’m at an age where I could be some of these folks’ grandfathers,” Artie confides to me as another voice intertwines into the pirates’ tale. “We come from all walks of life: Architects, engineers, nurses. It’s like the most gratifying thing watching these kids and the great work we do.” Artie can’t seem to contain himself and most certainly seems recovered from the national hangover from Election Day. “It’s a gift,” he declares. And I’m thinking on the other end of the wireless that that’s the Jolly Rovers credo to the core: Your work defines your heart, your soul, your character. Not some low-life election. “It’s a gift,” he gratefully repeats. “I was looking for a rain jacket,” Marc Sierzega, crew member and Fishkill resident, recounts. “Every July, RPH holds a three day work and barbeque weekend. Whoever shows up gets three meals a day and work to do. In 2011 the Rovers came out with a project and that’s how I hooked up with them. Their training was complete – tools, safety, rigging – and in the end I was invited to join. I’ve been a Rover ever since.” Another Rover joins the fray, but Marc still volunteers with the RPH Crew. Rocks were flying through the high, clear air at Sam’s Point as the Rovers worked to complete one of their most recent projects. Restoring Russell Wright’s Stone Walk at Manitoga in Garrison is another recently completed beauty. Echoing shouts of “Tension! Slack!” The chalkboard scrape of rock against rock. The sharp crack of hammers coercing stone into shape. The rolling thunder of boulders spiraling down a chasm. The exuberant, heartbeat sound of friends working, laughing, happy with their work, building history. . .
Postscript 1: In December of 2015 as the Rovers officially became its own 501c3 non-profit organization enabling them to take their mission and skills beyond the borders of New York and New Jersey. Postscript 2: Early in the August morning of the evening Iron Bob and I first met, a still unexplained fire destroyed the Rovers office and storage facility alongside Chris’s home in Warwick. Much of their equipment was destroyed in the blaze. Through fundraisers and online donations, the Rovers have received over $10,000, making it possible to replace most of their equipment and work is soon to begin on the rebuilding of the office and storage space.